This is a character from a tabletop roleplaying game (of Exalted) that I sketched out for practice. Pencils were done on cheap printer paper and scanned, and then ink and colour were added with photoshop and a wacom tablet. The grainy effect is a photoshop filter that comes as standard. 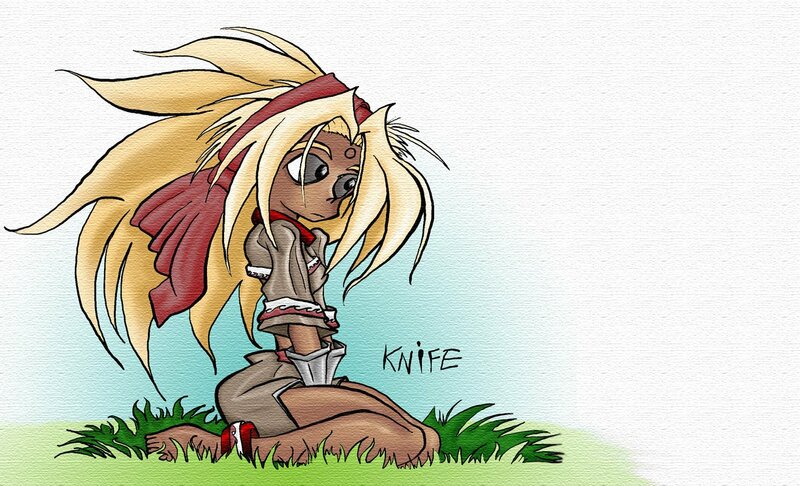 This is the first image I ever coloured with a graphics tablet, so I'm rather pleased at how it came out.